There are few possible Avelox side effects, though the majority of patients taking the medication will experience no none of them at all. The most common include nausea, diarrhea, and dizziness. 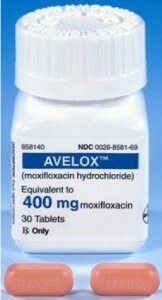 The following are the most commonly reported side effects of Avelox (Moxifloxacin) by patients who have taken the antibiotic. Pain swelling bruising or rupture of a tendon. Hallucinations, anxiety, paranoia, suicidal thoughts, depression, or any other abnormal changes in behavior or thoughts. Gastrointestinal side sffects include nausea, diarrhea, vomiting, constipation, abdominal pain, upper abdominal pain and dyspepsia. Dry mouth, anorexia, oral fungal infection among others has been noted in small numbers. Others reported are stomatitis, glossitis among other side effects. Pseudomembranous colitis symptoms are likely to occur either during or after treatment. If consistent diarrhea starts with or without drug therapy then pseudomembranous colitis is considered. Side effects of the nerves included headache, dizziness and insomnia. Somnolences, tinnitus among other side effects have been noted in small percentages. However some side effects such as amnesia, sleep disorders and aphasia have been noted too. Other side effects like abnormal gait and exacerbation have been known during postmarketing experience. Quinolones have been related to sensory and sensorimotor axonal polyneuropathy resulting to hypoesthesias, paresthesias, and dysesthesias. Cardiovascular side effects of avelox have included palpitations, cardiac failure, and hypertension among others which have been noted in small percentages. Other side effects which have also been noted include atrial flutter, ST-T wave changes and arrhythmias.ECG abnormalities have been reported by elderly patients than young ones. Ventricular tachyarrhythmias which include very rare cases cardiac arrest usually in patients with concurrent severe underlying proarrhythmic conditions) have been noted during post-marketing experience. Some of the hematologic side effects are anemia, thrombocythemia, neutropenia, decreased hemoglobin among others. However some side effects have been noted in a bigger percentage than before are neutrophilis, WBCs, albumin among others. The cause of thee side effects has not been defined yet as to either drug conditions or what. Portmarketing experience has also noted some side effects such as increased prothrombin and decreased thromboplastin. Some hepatic side effects which have been noted are abnormal hepatic function, blood bilirubin among others. 2% of patients have shown side effects like chloride and glubin among others. The cause of theses abnormalities has not been defined yet as to whether they are due to drug conditions or what else. Jaundice and fulminant hepatic failure have been noted too. During postmarketing experience, cases like hepatic failure and jaundice have been however established. Some metabolic side effects of Avelox established by patients in small percentages are hypokalemia, dehydration, decreased appetite among others. Increased ionized calcium, chloride and glubin are among other side effects which have been noted almost equal to 2% of patients. The cause of these laboratory abnormalities has not been defined yet though dehydration and hyperuricemia have been noted. Some musculoskeletal side effects of Avelox which have been noted in small percentages included back pain, muscle spasms, chest pain among others. Arthritis, hypertonia and tendon disorder have been noted too. Tendon rupture had been noted during post-marketing experience. Some dermatologic side effects reported included pruritus, erythema among others. Purpuric and pupuric rash have been also reported. During postmarketing experience, cases like photosensitivity reactions had been noted. Some genitourinary side effects reported included vaginal infection, vulvovaginal candidiasis among others. Vaginitis has also been reported. Some ocular side effects noted in small percentages included blurred vision, amblyopia and abnormal vision which are the visual disturbances which are associated with central nervous system symptoms. Some noted renal side effects in small percentages included increased blood creatinine, increased blood urea, renal failure and acute renal failure. Abnormal kidney function has also been noted. During postmarketing experience, renal dysfunction and interstitial nephritis have been reported. Some respiratory side effects reported in small percentages included dyspnea, wheezing, bronchospasm and asthma. During postmarketing experience, allergic pneumonitis has been reported.